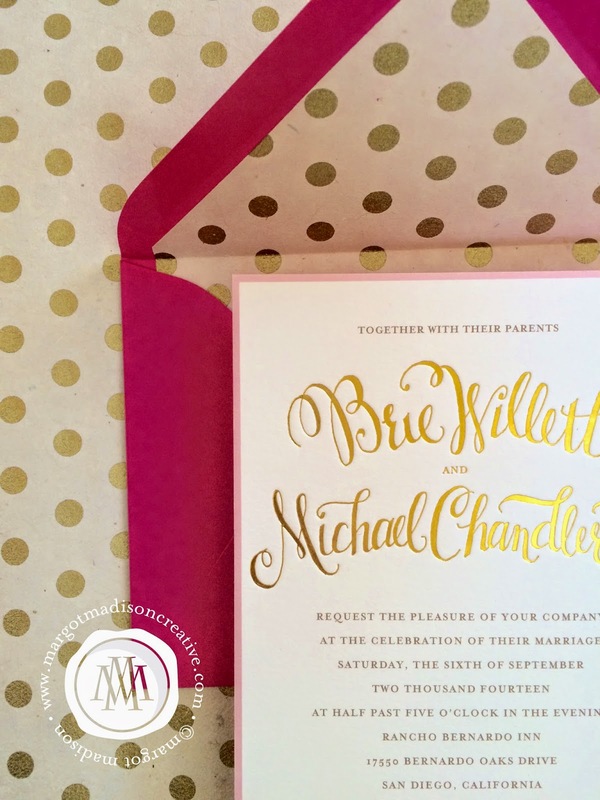 MargotMadison: Gold Foil Wedding Invitations! Loving the touch of sparkle that gold brings to your wedding decor? Me too! 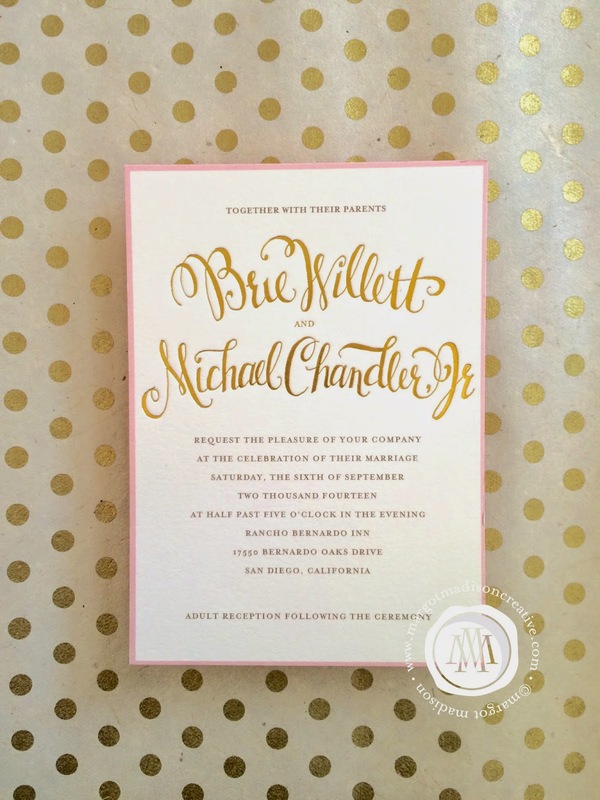 I've got several invitations available that use the gold foil with my hand drawn calligraphy style for your names. 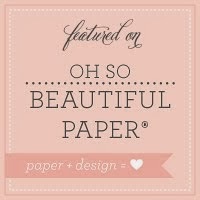 Here is the latest design I've uploaded to my Etsy shop. 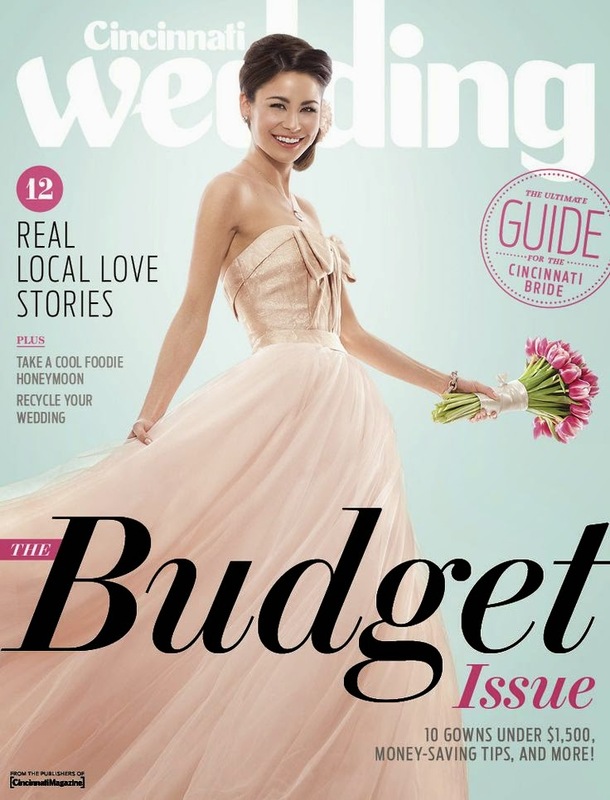 This bride used hot pink and medium pinks as accent colors. Do you love?